Yaowarak was SUPER! We booked a tour for 2 a month in advance of our trip to Thailand. We had so many questions and requests leading up, and each email was replied to quickly and professionally. 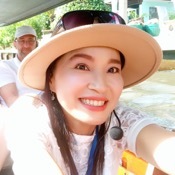 Because we had just 1 day in Thailand as part of our cruise and we were docking far from Bangkok, she wisely suggested we could see/do more in Thailand by visiting sites closer by. She helped to make the perfect customized itinerary that packed so much, including a great local eatery. Terrific guide, 5/5 for sure. TOUR GUIDE RESPONSE: Thank you so much as well for a wonderful and fun day in paradise. I really enjoyed your friendship and the interesting conversations we had. But I do have one request....please send me the Halloween photos when you have time. 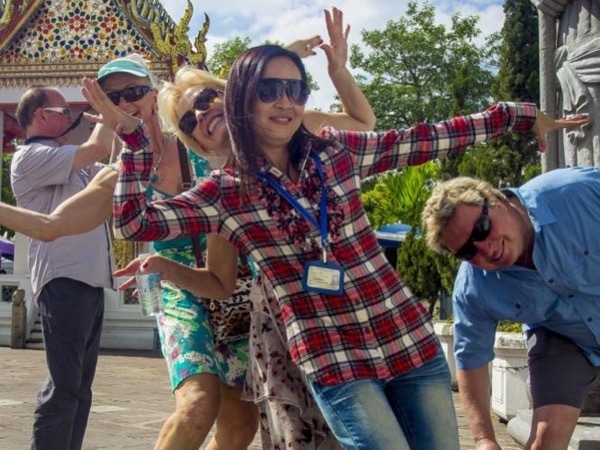 Have a great time and great tours in all the other Asian countries that you will visit! And if in Thailand...don't be a stranger o.k. ?